We are an independently owned Estate Agency practice whose name has become synonymous with selling residential properties in the Bridgwater area since our formation in 1990. Our pledge is to offer both friendly and professional advice on all aspects of the property market. We aim to provide a level of service which we would expect ourselves, including realistic valuation and market appraisal, progress reports and continual sales chasing after a sale has been negotiated. The partners Paul Charles and Steve Dickens as well as all the staff live in the Bridgwater area and have over 80 years combined experience of the property market in the town. 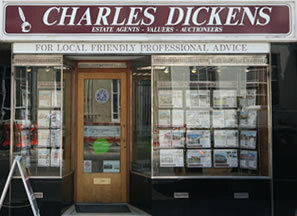 Charles Dickens Estate Agents have, for the third year in a row, won 'The British Property Awards' for Bridgwater 2018, retaining their award from 2016 & 2017 respectively. The team performed outstandingly throughout the extensive judging period, which focused on customer service levels. 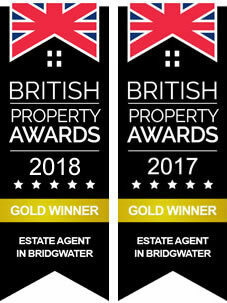 The British Property Awards provide agents throughout the UK with an invaluable opportunity to compare the service that they provide against the service provided by their, local, regional and national competition. Should a sale of any property on our register take place as a result of obtaining information from this Website then it is a condition that you accept that this will be deemed to be an introduction to a commission earning event. Please note our property database is updated regularly but as prices or details can change at anytime interested potential buyers are advised to check before viewing.